elasticsearch-py is the official low-level Python client for Elasticsearch. 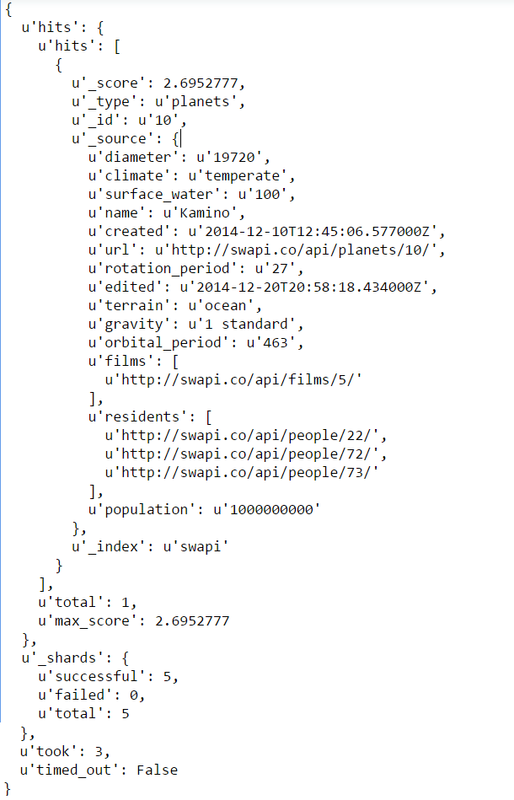 It will return all the indexes have their name starting with ‘dummydata-‘ in JSON data format. Integrating Elasticsearch as a data storage and search component into your Python dominant infrastructure. Indexing data without worrying about translation of basic Python data types to json. Load balancing across all the Elasticsearch nodes. Note: For Elasticsearch 5.0 use the elasticsearch-py major version 5. As Elasticsearch is used primarily for real-time searching (and distributed storage) – so first thing we need to do here is load the data. 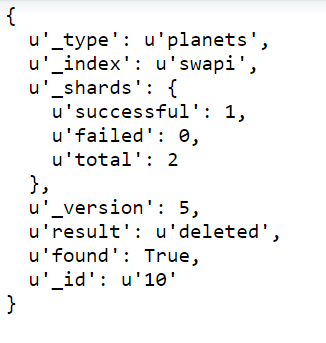 ‘Create’ and ‘Update’ of CRUD are termed as indexing in Elasticsearch i.e. if you index data with a specific type and ID that does not already exists, it’ll get inserted i.e. POST/Create operation, if it exists it’ll get overwritten i.e. PUT/Update. Let’s load our first set of data on Elasticsearch. Index and type are required, while the Id param is optional. If you don’t specify an Id, ES will generate it for you. The index name is arbitrary. If there isn’t an index with present already on the ES, one will be created using default configuration. Each type has its own ID space. Different types can have schema of their own, within an index. Can search documents using types as a filter. 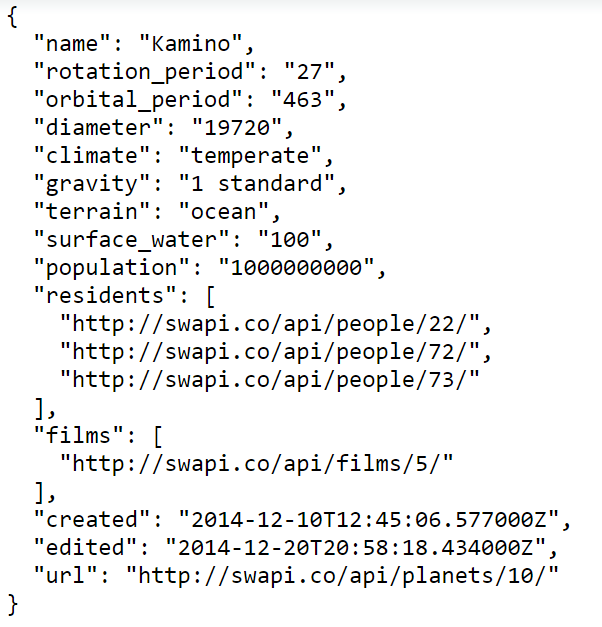 For this tutorial let’s use the publicly available Star Wars Information API swapi – currently has 6 different endpoints, I am choosing ‘planets’ http://swapi.co/api/planets/ . Line 5 – getting the elasticsearch connection object. Note: You can download the above Python script from Github. It’ll return four planets ‘Kashyyyk‘ with Id 14, ‘Kamino‘ with Id 10, ‘Haruun Kal‘ with Id 42, and ‘Kalee‘ with Id 59. The complete list of ES DSL query parameters.